The brain is a mysterious phenomenon, with a complex array of interactions within the body itself. Outside substances can also influence how the brain interacts with the rest of the body. Addictive drugs which produce a high through stimulation of the reward system can alter the way the brain functions. 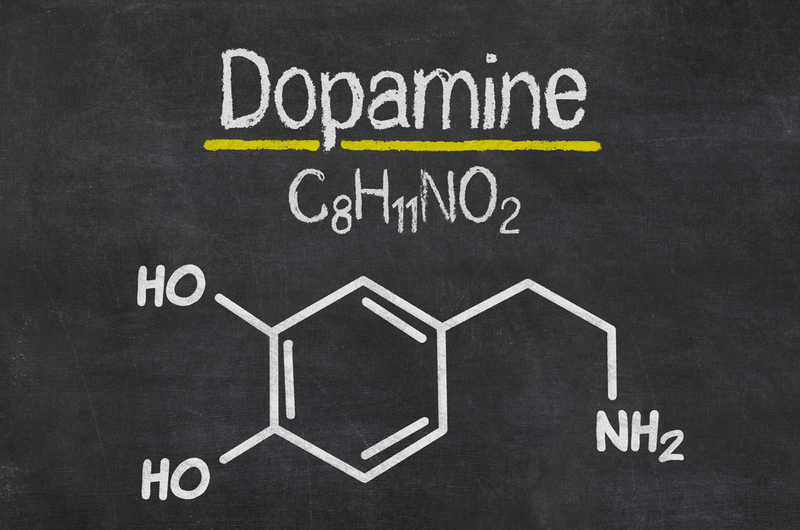 Learn more about Dopamine, the brain and how addiction impacts the reward system. Neurons communicate with one another through an exchange of molecules called neurotransmitters. These three-dimensional ‘keys’ fit into ‘locks’ called receptors on the surface of the brain cells. When a neurotransmitter locks onto a receptor, a message is transmitted which either stimulates or depresses neural activity, depending on the neurotransmitter. A chain reaction of messages travels along neural networks. The Reward System is in the neural network. Located within the brain’s neural network is the Reward System, involved in feelings of pleasure and central to the process of learning and motivation. Dopamine is the primary neurotransmitter in the Reward System. If enough dopamine is released into the reward circuits of the brain, a feeling of euphoria occurs. Exhilarated feelings from Dopamine are a common experience and partially responsible for any pleasurable feelings a person may experience including a hug, kiss or words of praise. Any unnatural substance can also stimulate dopamine and drive the neural network to flood the body with feelings of euphoria. The Reward System can experience a high up to 10 times more powerful than naturally occurring dopamine in the body. A person’s brain can properly restore balance once the drugs wear off with occasional use. When drugs are used to excess, the brain pushes a defensive reaction which can lead to tolerance. The Reward System is less efficient once tolerance builds in the body. More drugs are required to achieve the same high which used to be produced with less. Over a long period of time, excessive and continuous drug use can result in permanent changes to the brain and the Reward System. Changes such as these alter not only the structure of the neurons themselves but also neural function including the way individuals with addictions think. Behaviors such as denial, irrationality and obsessive drug use can become commonplace. Individuals who struggle with addiction also deal with the changes in brain functioning. The Reward System may experience tolerance and the body requires more of the same drug to achieve a high which can lead to risk of overdose. Even with occasional use of drugs, it is important to assess the desire to take drugs with the need for treatment to effectively deal with underlying issues which led to addiction in the first place. Various treatment centers, groups and therapeutic settings offer support for overcoming addiction. If you or a loved one wrestle with addiction, there is hope. Contact Hired Power for information on how to receive support on the recovery journey. Call 800-910-9299 for more information.